I went to work on August 12th with a lengthy to-do list. I knew it was going to be a busy day and an especially interesting lunch hour. Like most of us involved in farm management and agricultural real estate, I was eager to hear the USDA Crop Report. In today’s fast-moving world, that report can affect the market strongly and swiftly. 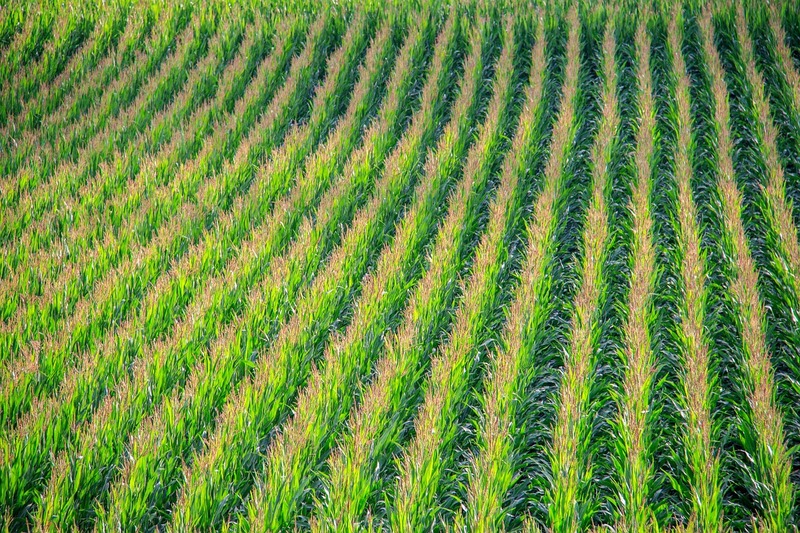 The USDA raised the corn yield 2 bushels per acre and beans 1.5 bushels per acre. Immediately, corn was down 20 and beans down 60. In an instant, it sent producers and managers scrambling for answers and looking for “next steps”. It should be said that the USDA doesn’t necessarily do a thorough inspection of the crop, and in their defense that is probably an impossible task. Regardless, they put large projections–and in some cases, historic projections–on the states in the Western Corn Belt that have supposedly had more favorable weather. Whether ag experts think the USDA projection is off-base or not, the fact remains that the market trades off of these numbers and until there is new data or an unforeseen outside influence, this is what we have to work with. It is uncertain whether anything can spark substantial movement until farmers hit the fields. Only when grain crosses the scales will we know what crop we have. Until then, estimates are just educated and calculated “guesses”. Some theorized that FSA preventive planting numbers released on August 17th could’ve provided a bounce. Although there were over 2 million acres prevented from being planted in Missouri and Illinois, the 17th came and went without much movement. Extenuating circumstances abroad could move the pre-harvest market, but that is often harder to project than the crop itself. China’s currency devaluation was the buzz during the week of August 10th. Oil hitting a six-year low on Monday, August 17th is the chatter right now. What remains to be seen is whether any of these outside factors can substantially alter commodities in the interim. If we had gotten a hot dry-spell in August, that could’ve swung the pendulum…but that was a big if. Perhaps the Pro Farmer crop tour will enlighten traders on what to expect. This annual tour encompasses teams from Pro Farmer scouring the entire Corn Belt with in-depth analysis. The USDA fails to get up close and personal. This crop tour has legitimate boots on the ground with plant population numbers, ear size measurements and ultimately provides yield checks on a multi-state level. Luke Worrell is a Broker, Accredited Land Consultant and Accredited Farm Manager in Jacksonville, IL. He specializes in agricultural real estate and land management in west central IL. Luke enjoys all things sports and traveling. He resides in Springfield, IL with his wife Allison and son Kale.